There are many different breeds of Black Dog affecting millions of people from all walks of life. The Black Dog is an equal opportunity mongrel. It was Winston Churchill who popularised the phrase Black Dog to describe the bouts of depression he experienced for much of his life. 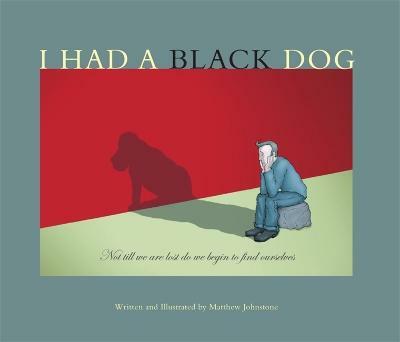 Matthew Johnstone has lived experience of depression and has written and illustrated this moving and uplifting insight into what it is like to have a Black Dog as a companion and how he learned to tame it and bring it to heel. Mental Health Journal described it as ‘A beautiful book, worth owning for the author’s illustrations alone, in 48 pages Matthew condenses insight, advice and inspiration’. Or buy a copy of the book online. I had a black dog was a very interesting yet simple book, it explained what depression feels like by turning it into a metaphor and it also taught you how to be free from depression, one of the lessons that stuck out in this book is when the author made it clear that if you have depression you are not alone and you should seek help.